Make your business run with quality carbonless books. 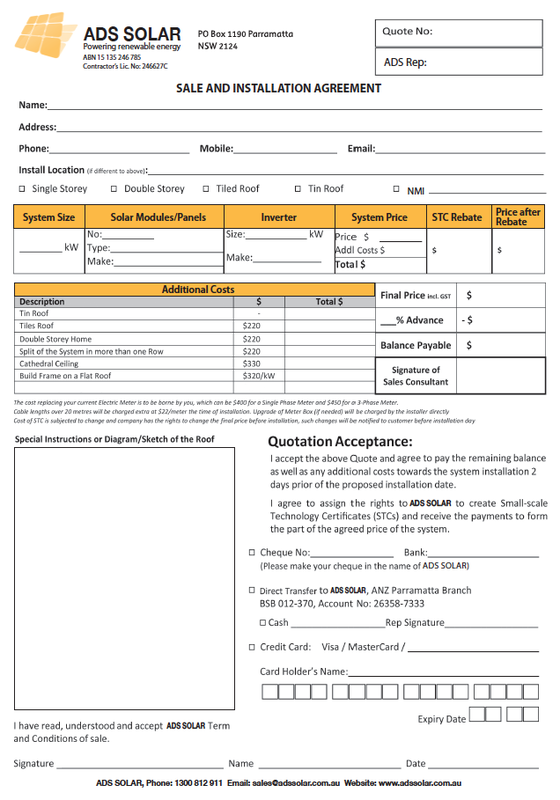 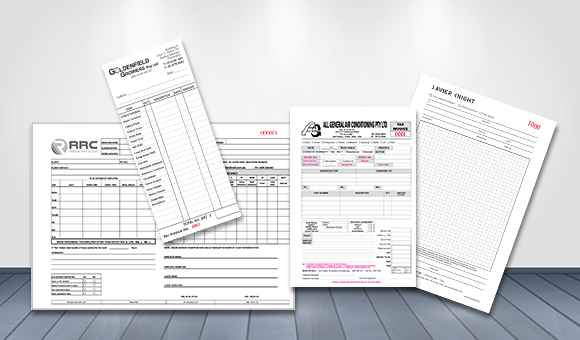 Basic and Custom Invoice Books, Purchase Orders, Receipt Books, Cash receipts, Quote Books, Docket Books, Misc Business Forms; in duplicate, triplicate or quadruplicate. 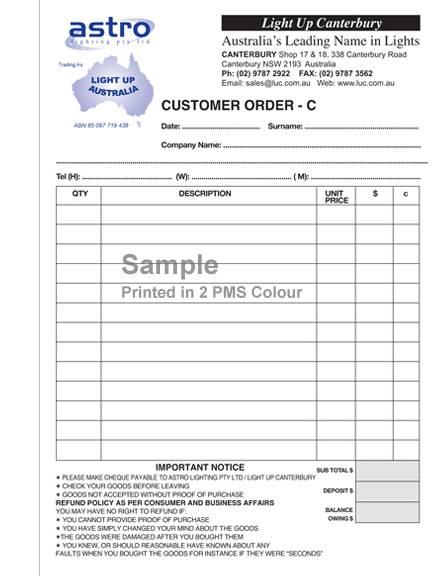 Minimum Price Applies to all NCR orders. We are able to print any number of books as per your individual need, from as little as 1 to 1000 books or more. 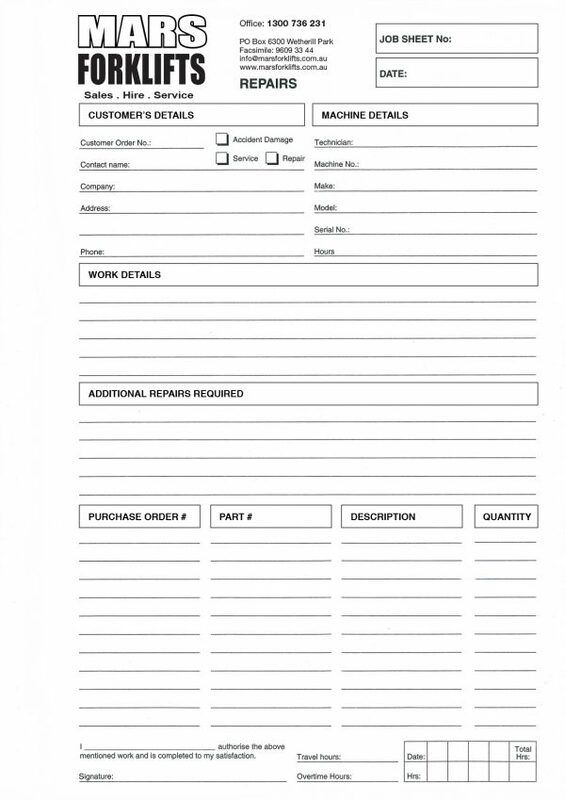 Books come with the option for a wrap around or card insert. 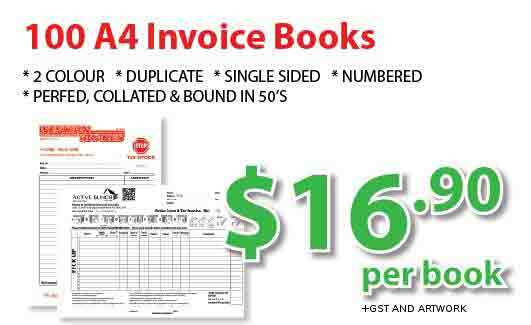 Books may be padded, fan-apart or bound with cover and tape. 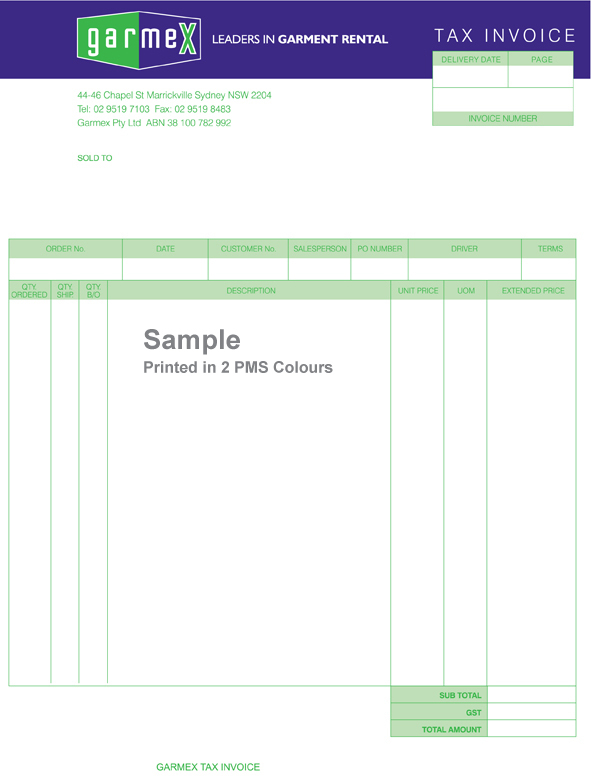 Tape colour options are also available. 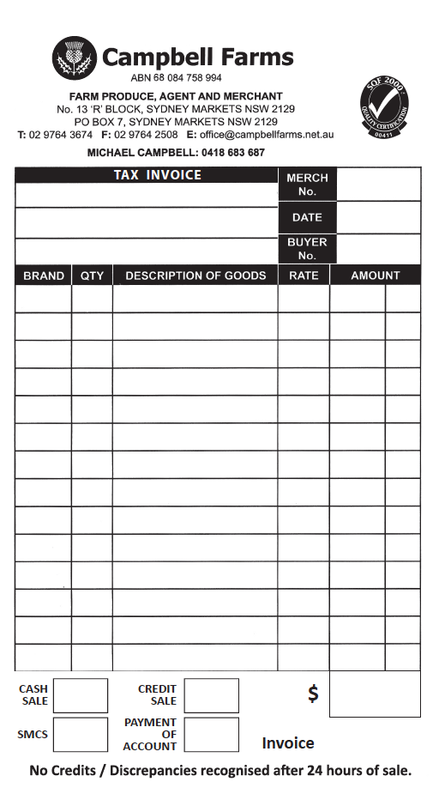 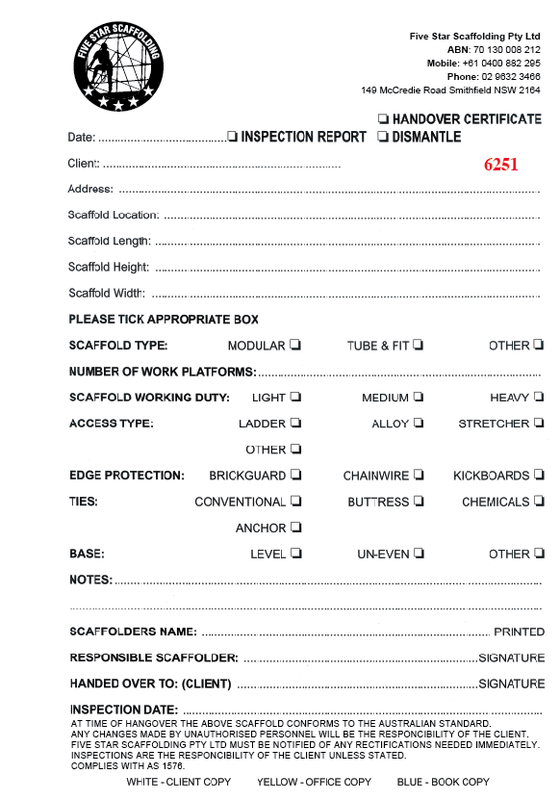 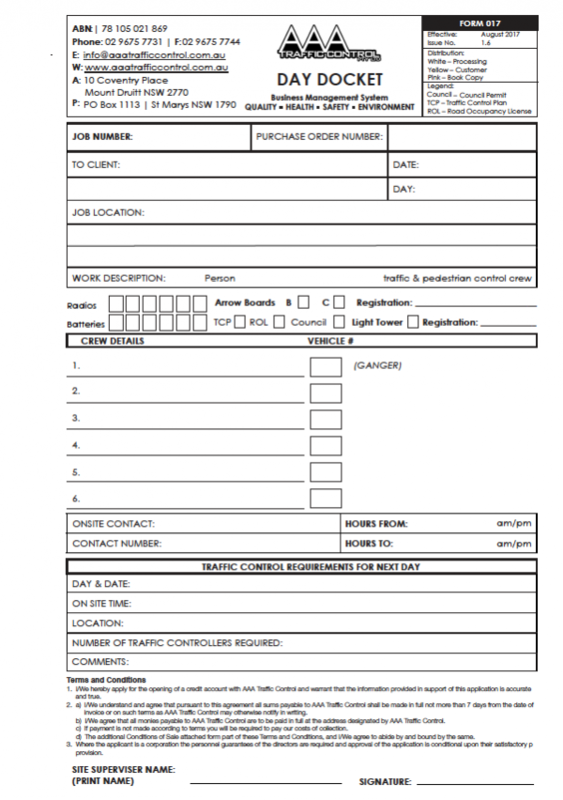 *In general NCR books are printed in Black and White with numbering, this is the most cost effective. Numbering can be in Red or Black ink. 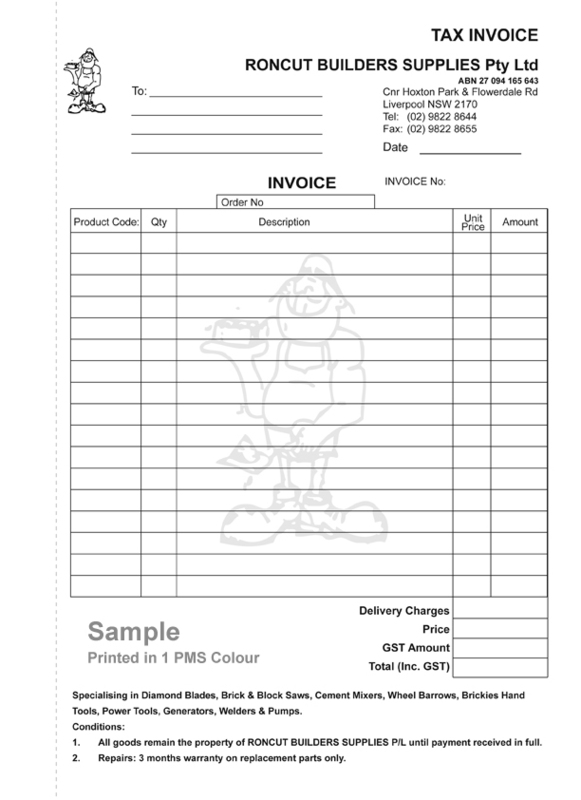 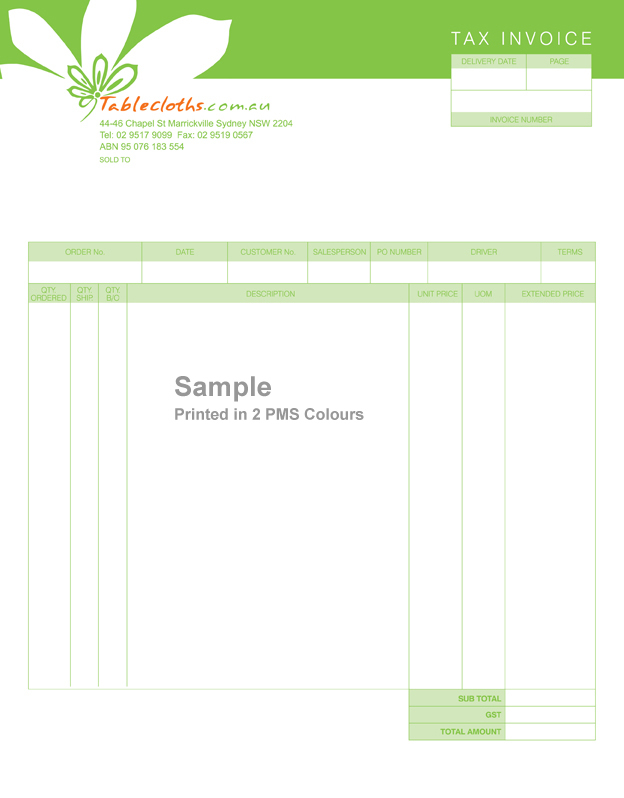 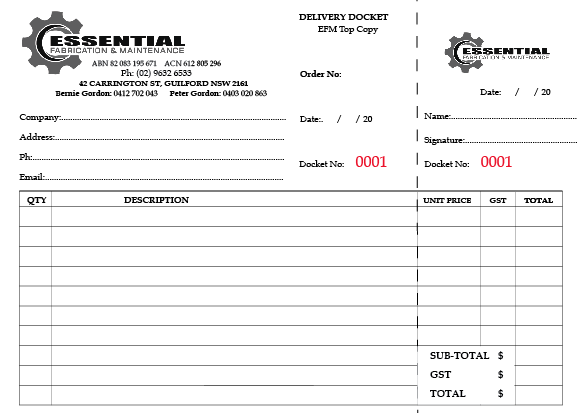 Avis printing specialises in printing docket books Sydney at the best docket book printing price. 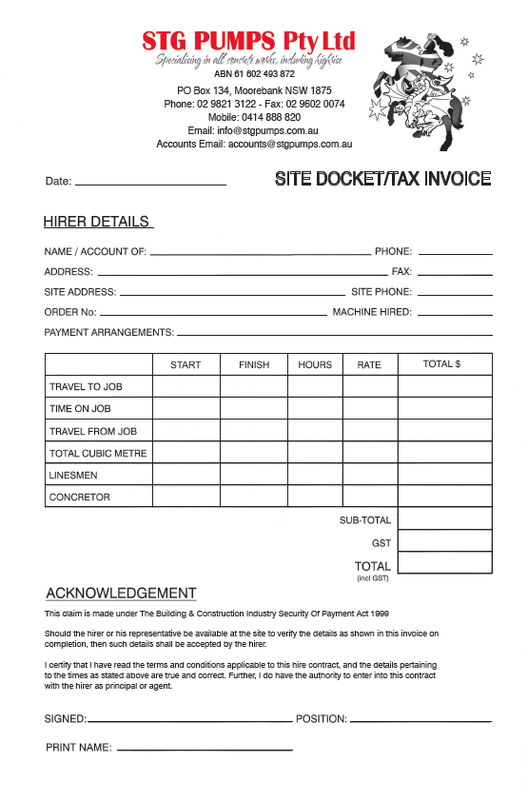 We have Sydney’s cheapest docket books and the best quality docket books available. 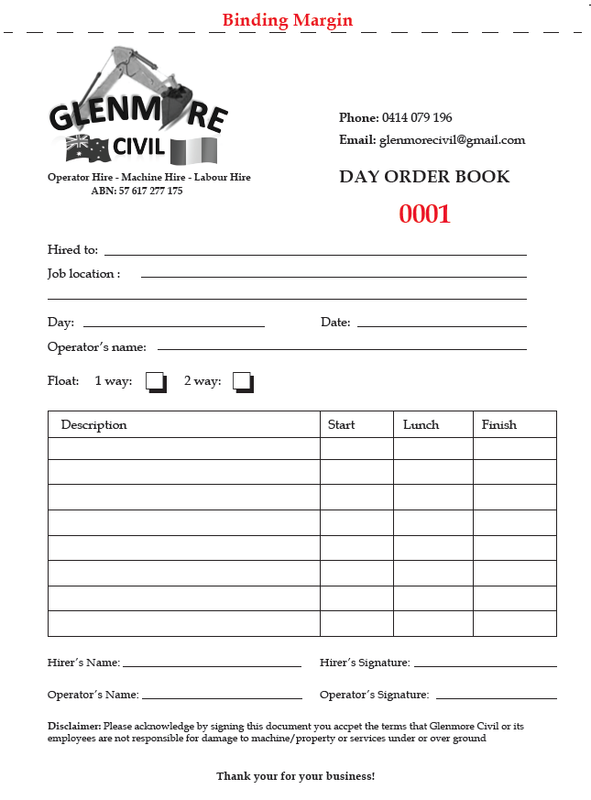 We produce black and white docket books, 2 colour docket books, 3 colour docket books, full colour docket books and offer docket book printing specials every day. 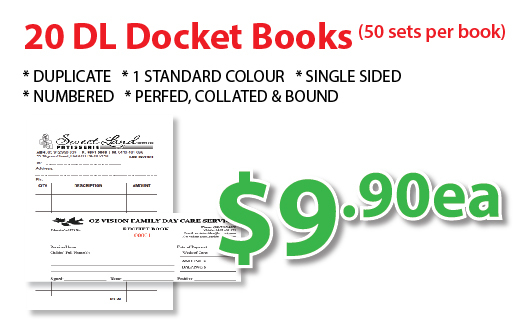 In fact we offer the cheapest 100 docket books printing in Australia, backed up by our lowest price guarantee to give you the best price for docket books. 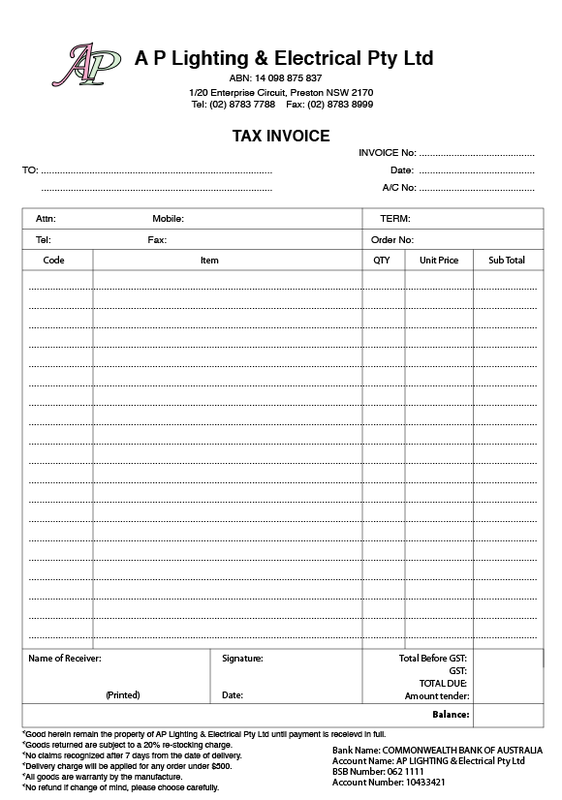 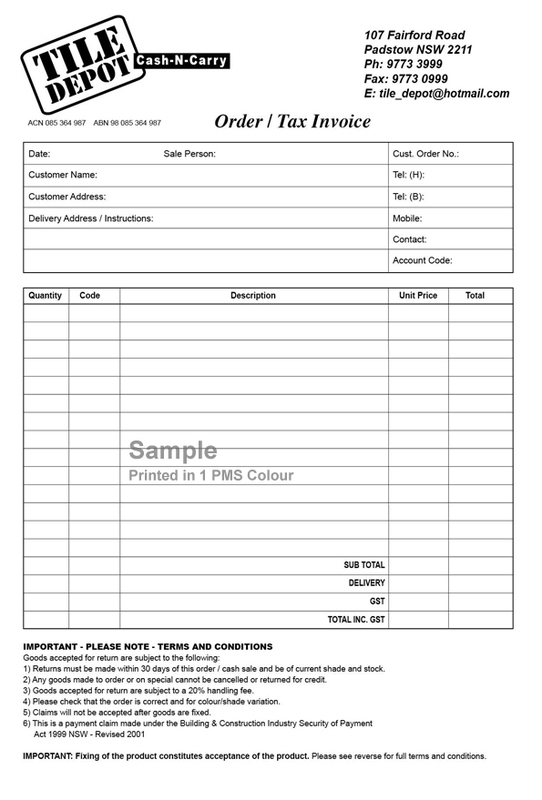 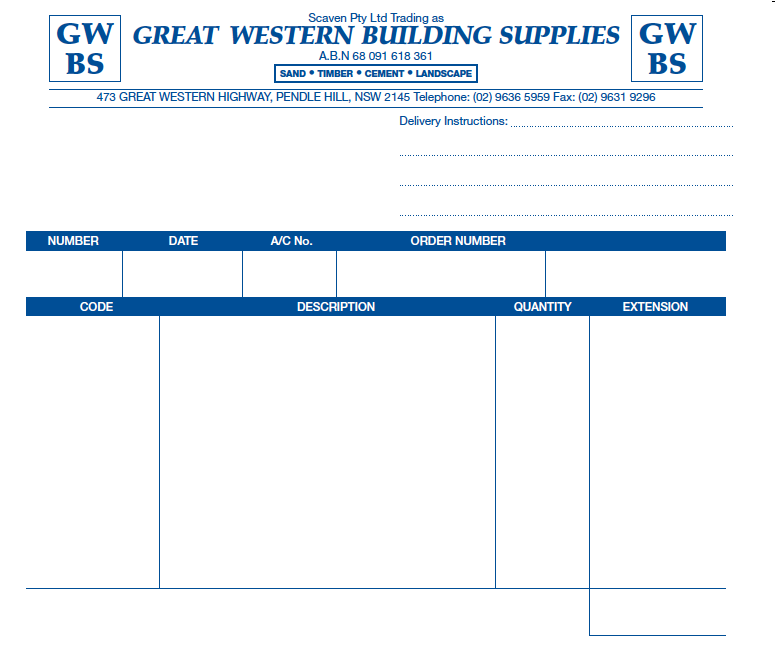 Our range of products include: invoice books, purchase orders, purchase order books, receipt books, cash receipts, quote books, docket books, carbonless books, custom invoice books, business forms, duplicate books, triplicate books, quadruplicate books, 2 to view books, 3 to view books, 4 to view books.